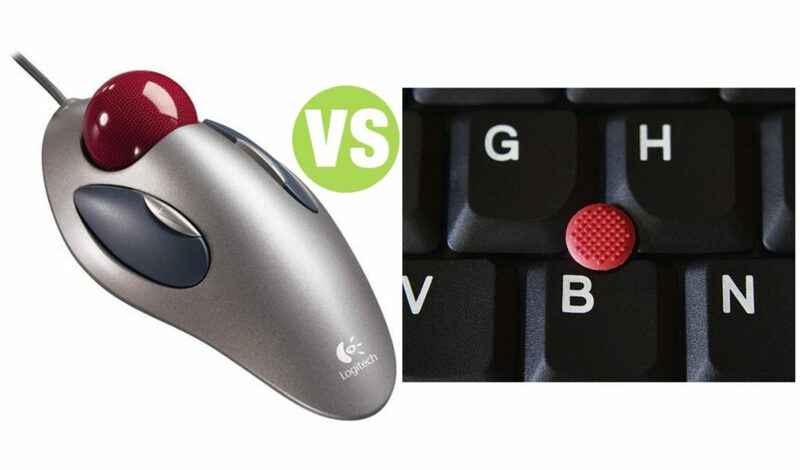 Summary: Difference Between Pointing Stick and Trackball is that pointing stick is a pressure-sensitive pointing device shaped like a pencil eraser that is positioned between keys on a keyboard. While trackball is a stationary pointing device with a ball on its top or side. To move the pointer using a trackball, you rotate the ball with your thumb, fingers, or the palm of your hand. A pointing stick is a pressure-sensitive pointing device shaped like a pencil eraser that is positioned between keys on a keyboard. To move the pointer using a pointing stick, you push the pointing stick with a finger. The pointer on the screen moves in the direction you push the pointing stick. By pressing buttons below the keyboard, users can click and perform other mouse-type operations with a pointing stick.